Buttercream cakes are a fresh, modern alternative and arguably more delicious than traditional iced wedding cakes. We've created an array of styles, flavours and colours throughout our cakes collection that truly taste as good as they look! The Buttercream Spin exudes elegance. It's one of the tallest of all the cakes, due to the additional cake per tier, which gives it a regal height. It can also be made in a range of colours, whether classic ivory or an ombre effect of colours throughout the tiers. The Naked Cake could be described as the most fashionable cake right now. 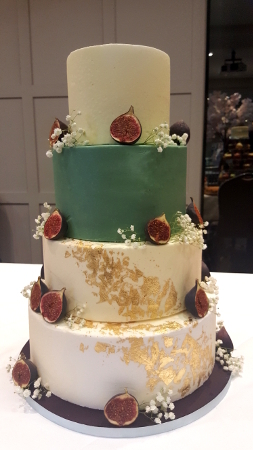 With its rustic charm, visibly abundant layers and fruit or flowers around each tier, it's a fresh and vibrant cake that works beautifully in nearly all venues. The Skimmed Naked Cake is a take on the Naked Cake with a skimmed buttercream layer around each tier, again showing off its abundant fillings within. Its lighter colour makes it a good match to almost any colour scheme or floral arrangements alongside it. The Masked Cake has a beautiful, clean finish that provides a more traditional appearance to contemporary cakes in our collection. Perfectly smooth buttercream with crisp lines will complement a flawless wedding. Can also be adorned with gold leaf. Beautifully encased in white or dark chocolate cigarellos, finished with silk ribbons and adorned with either fresh fruit or wreaths of fresh flowers to match your chosen colour scheme, The Cigarello is our tallest and arguably most impressive cake of all. The Confetti Cake is about as fun as wedding cakes go! It's filled and masked with your chosen flavoured filling then dowsed in a rainbow of confetti sprinkles, finished elegantly with a white iced or ivory silk ribbon. 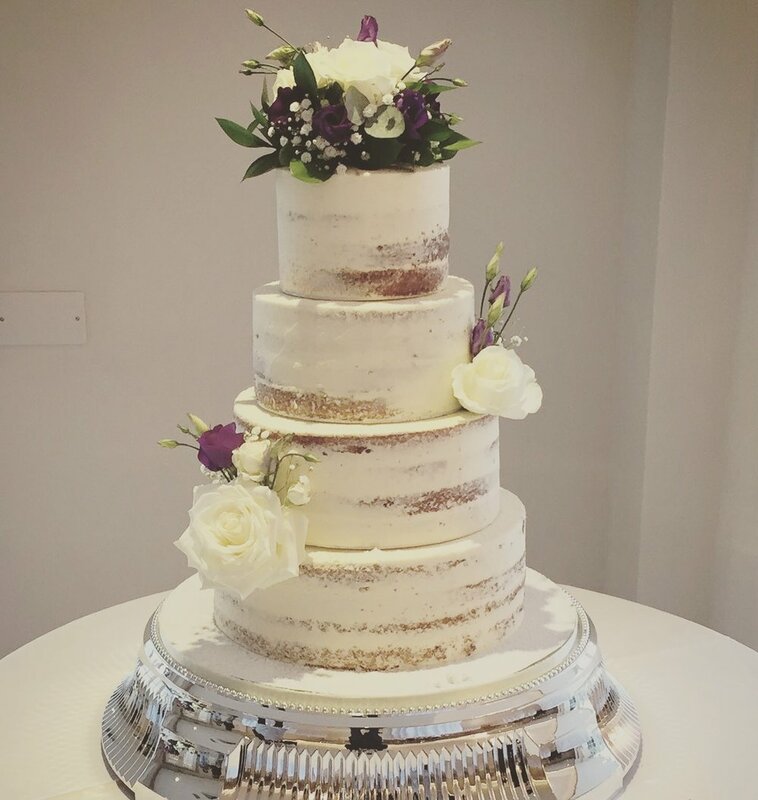 A beautifully fun wedding cake, it's definitely a crowd pleaser.